According to the Bureau of Labor Statistics in the U.S., about 1.2 million vacancies would be available for registered nurses from 2014 to 2022. Healthcare information technology (HCIT) deals in creation, design, development, and maintenance of information systems for healthcare organizations. It is expected to improve medical care, curb costs, minimize manual errors, and enable the optimization of reimbursement for ambulatory and inpatient healthcare providers. 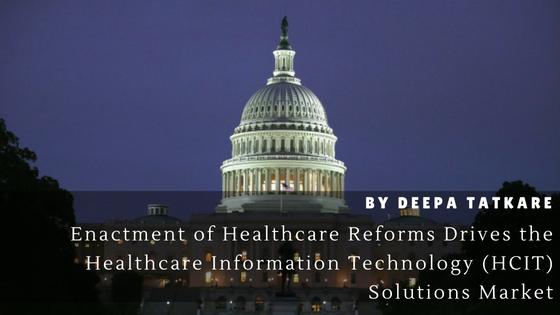 Many government healthcare policies promote the use of both non-clinical and clinical solutions, especially electronic medical/health records (EMR/EHR), mHealth, and telehealth. While, EHRs benefit healthcare organizations by curbing treatment costs; mHealth utilizes mobile phones and communication devices to provide immediate care to patients. Increasing number of patients have adopted mHealth, as it is economical, and provides insights on preventive health care services, chronic disease management, disease surveillance, epidemic treatment support, outbreak tracking, and reducing overall healthcare cost. Patient Protection and Affordable Care Act (PPACA), commonly termed as Obama’s Health Care, is one of the most important healthcare policies that has affected the adoption of HCIT solutions. offers home- and community-based medical services for qualified individuals. These services assist patients to accomplish regular life activities and ensure continuous care for them. This section will have a direct impact on the HCIT industry, as it guides patients on their health status via telehealth or mHealth, enabling them to be in real–time communication with their doctors. Consequently, the demand for such services has significantly increased, which stimulates the adoption of telehealth and mhealth market. In fact, Telehealth segment is expected to grow at a CAGR of 33.27% during the analysis period. provides home-based medical services for patients with chronic diseases such as cardiac condition, cancer, diabetes, and others. This section promotes the use of IT–based care management systems and stimulates the integration of IT in healthcare industry. The subdomains of healthcare include laboratory management, practice management, financial management, patient, and billing management, payment management, and others. Increasing incidence of chronic disorders among individuals has posed a key challenge to healthcare organizations. Hence, different management solutions are available for different levels in the market. This act stimulates the demand for healthcare management solutions & services, thereby driving the market growth. establishes national center's for treating depression. It is anticipated that EHRs would be used. It also promotes the use of telemedicine. mandates medicare patients to have an annual wellness visit. It is expected that these visits would encourage patients to self-manage their medical problems. Moreover, they would be trained in self-management through the use of healthcare IT. aims to establish quality reporting for both group and individual health insurers. This section focuses on regular reporting of healthcare insurance companies about their performance, and promotes the implementation of different healthcare payer solutions such as claim management, fraud management, and others. Stringent government rules for proper and timely reporting of healthcare-related financial documents have fuelled the demand for IT-based payer solutions. These sections would propel the growth of EHR market in North America; affecting the world HCIT market. Moreover, dearth of skilled medical staff in healthcare facilities has hampered the market growth in the region. For instance, according to the Bureau of Labor Statistics in the U.S., about 1.2 million vacancies would be available for registered nurses from 2014 to 2022. 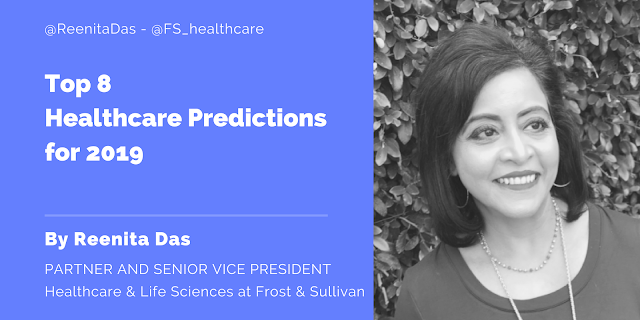 The demand of home healthcare is expected to increase and drive the healthcare IT solutions & services such as telehealth, telemedicine, and mHealth during the forecast period to meet the demand-supply gap.